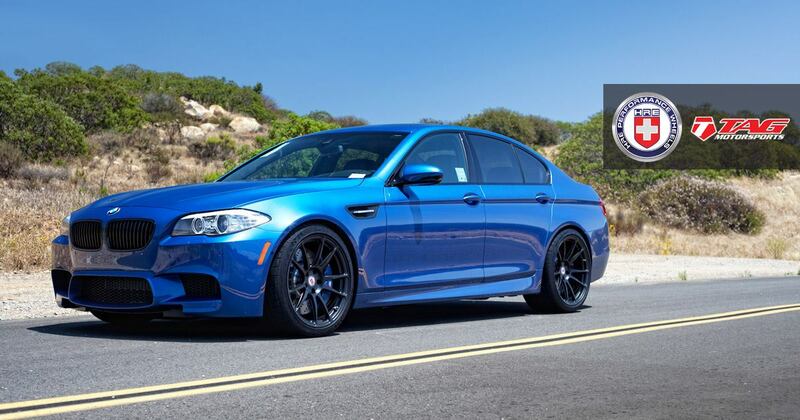 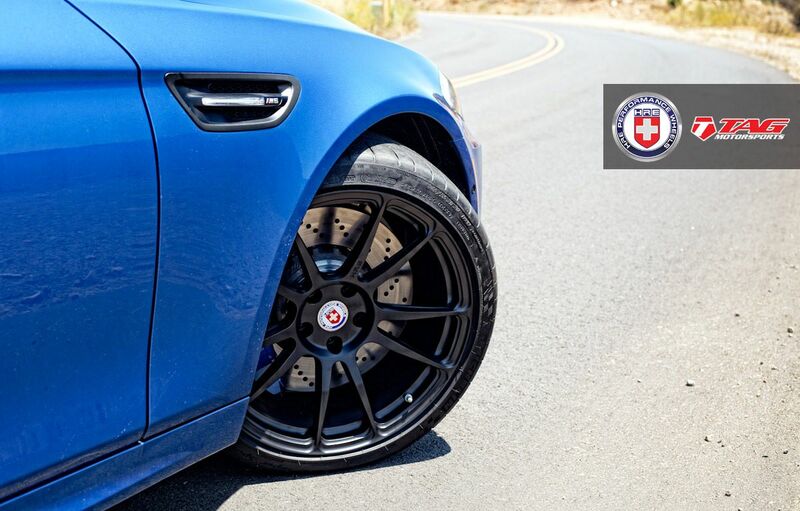 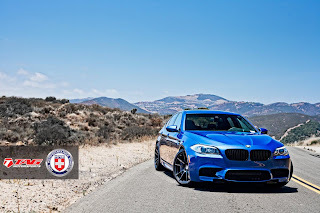 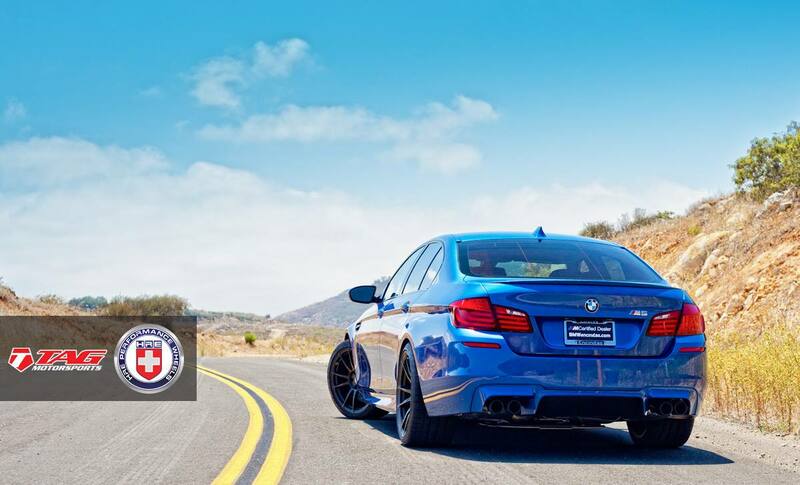 TAG Motorsports has fitted a BMW M5 F10 with 20-inch HRE Wheels, model P44SC HRE finished in black, which are well suited to the Egyptian Blue color of the body and brakes. The M5 features a V8 4.4-liter twinturbo engine with 560 hp. 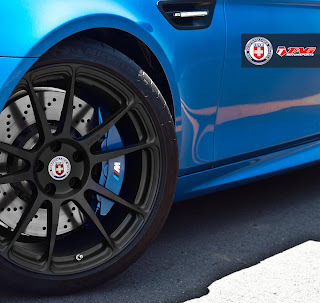 TAG Motorsports ha dotato una BMW M5 F10 di cerchi HRE Wheels da 20 pollici, modello P44SC HRE finiti in colore nero, che ben si intonano al colore Egyptian Blue della carrozzeria e dei freni. La M5 monta un motore V8 twinturbo 4.4 litri da 560 cv.